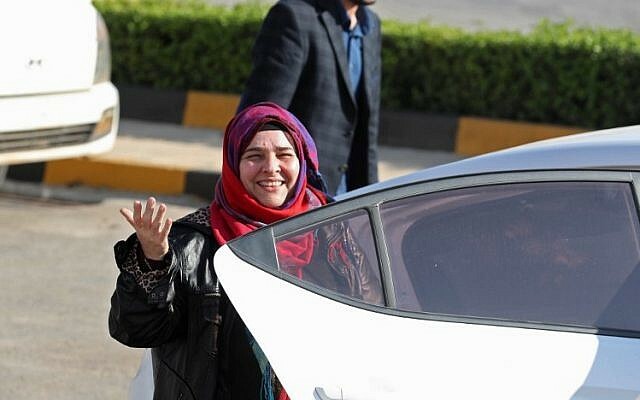 A 54-year-old Argentinian woman who was lured into war-wracked Syria two years ago by a marriage promise was finally on her way home on Saturday, a Syrian rebel official said. History teacher Nancy Roxana Papa had accepted the invitation of a Syrian man she had met online three years earlier and traveled to Turkey in 2016, before entering Syria. On October 30, the “Salvation Government” — set up in rebel-held Idlib by the Hayat Tahrir al-Sham (HTS) jihadist group — handed Papa over to the Humanitarian Relief Foundation, a Turkish non-governmental organization, at the Bab al-Hawa border post.